Forming a major part of the regeneration of the North East, Northern Spire is the first road bridge to be built in Sunderland for more than 45 years. A key part of our work involved developing an innovative construction method that includes an incremental deck launch and roll up of Northern Spire’s main pylon. This approach allowed off-site manufacture of the bridge steelwork, which was then delivered by sea to the Port of Sunderland. The pylon was transported as a single, 100-metre-long, steel element, standing in its final position at 105 metres high. The deck launch was a major achievement. 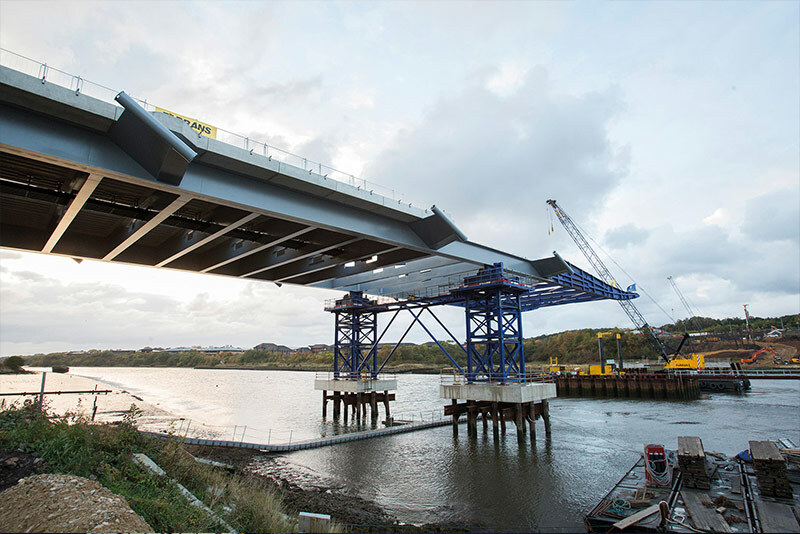 300m of the 340m long bridge deck was assembled on the south bank and launched across the river on temporary supports and associated foundations, with the remaining portion (the approach span) lifted into position by crane afterwards. The New York State Canal System is a 524-mile network comprised of the Erie Canal, the Oswego Canal, the Cayuga-Seneca Canal and the Champlain Canal. Earlier this year, the New York Power Authority (NYPA) assumed control of the Canal System from the New York State Thruway Authority and initiated a strategic planning process to assure the long-term vitality of the canal system. As part of this process, NYPA and the New York State Canal Corporation engaged BuroHappold to run the Reimagine the Canals Competition and help develop a strategy for the future of the New York State Canal System. The competition was envisioned to seek bold ideas for infrastructure projects and programming initiatives that foster economic development and tourism, promote the canal system’s heritage, and improve its financial sustainability. The Cities Berlin team have been working on an exceptionally ambitious residential masterplan on an island in Berlin that aims to serve as a blueprint for urban design for the 21st century. Our team’s vision has transformed the isolated nature of the island into a strength by reducing resource flows between the site and the external environment, and creating an autonomous, self-sufficient masterplan. The development will feature small, flexible heating networks with an emphasis on renewable energy, a high quality neighbourhood ICT platform, and a pneumatic waste disposal system. Sustainable principles are embedded throughout; 100% of stormwater will be reused, and 60% of the buildings will have green roofs. The mobility strategy was the greatest challenge for the team as the site has no existing public transport links but will be totally car free. Our engineers have developed a concept for an autonomous public transport loop for the island, with two mobility hubs connecting the site to the wider city public transport network. 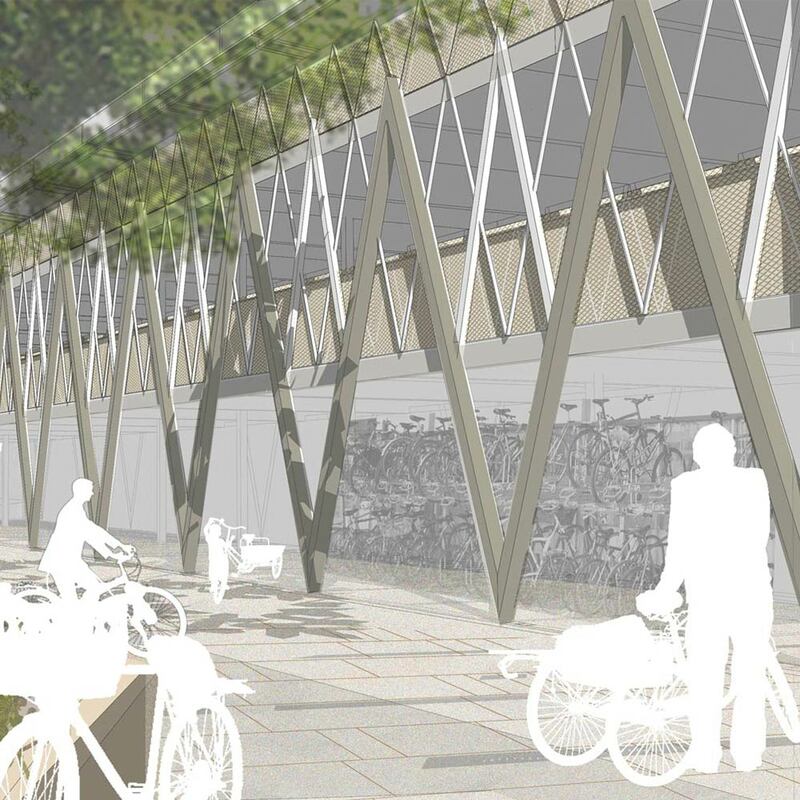 BuroHappold was commissioned to upgrade the forecourt at Kingston Station, with a focus on improving facilities for cyclists and pedestrians in an area otherwise dominated by vehicles. 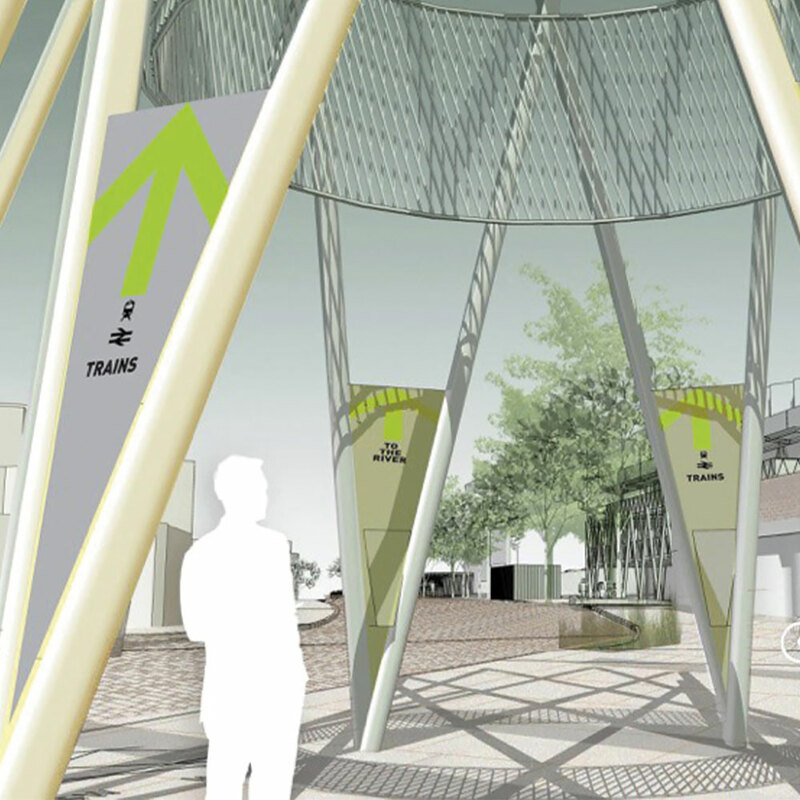 Our team developed a vision defining how the station area might act as a gateway for multiple user groups to different areas of the town and beyond. 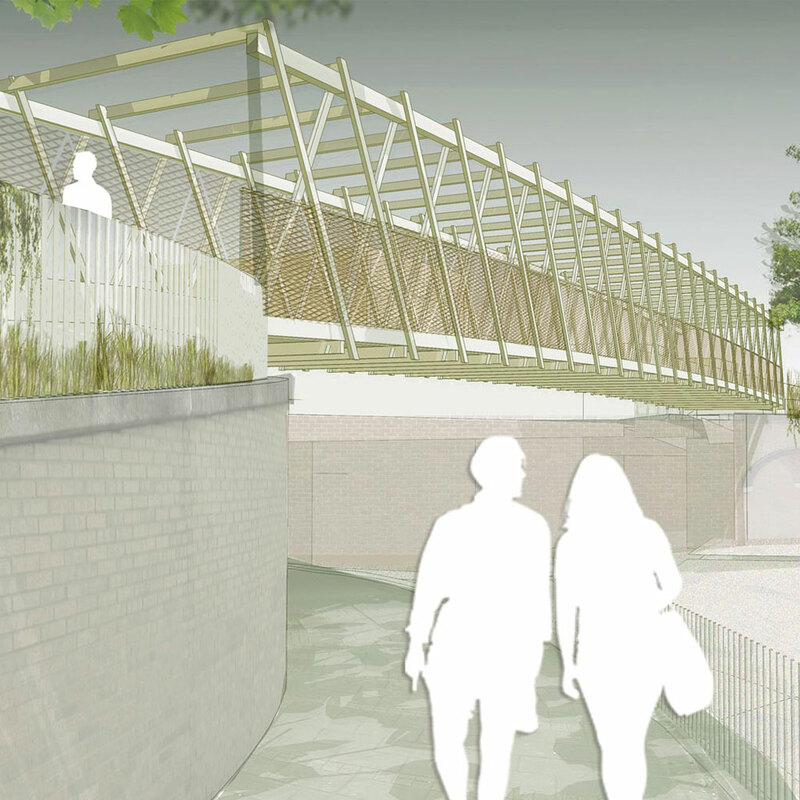 The resulting design included improved connections to the River Thames via a new pedestrian and cycle bridge, improved wayfinding into the town and provision for up to 700 cycles in a new facility adjacent to the station. BuroHappold designed a winning concept for the delivery of Linköping’s urban development project. As part of the 2030 vision, it incorporates an extension of Linköping’s city centre and the development of a high speed rail interchange. The new sustainable urban centre will be complete with mixed land use, new building volumes and the positioning and scaling of a railway station. Other planned developments include public parks, piazzas, streets, footpaths, cycle paths and new recreation spaces around the Stångån river. The inner-city developments will use a combination of decentralised combined heating, power systems, and renewable energy sources to provide efficient distribution systems – maximising efficiency and contributing towards a zero carbon environment. The site, formerly a railway yard, is a new urban neighbourhood that when completed will consist of 300 apartments, retail units, a nursery and a fitness centre. BuroHappold worked closely with the developer and design team to develop a plan for the new urban district, delivering a masterplan, sustainability strategy and urban district certification. The development’s park location and superb infrastructure connection, along with the addition of public courtyards, ensure a peaceful, green escape within the urban realm. To achieve the DGNB certification, the masterplan incorporated a progressive energy concept using a central Combined Heat and Power (CHP) system, renewables and waste water heat recovery.